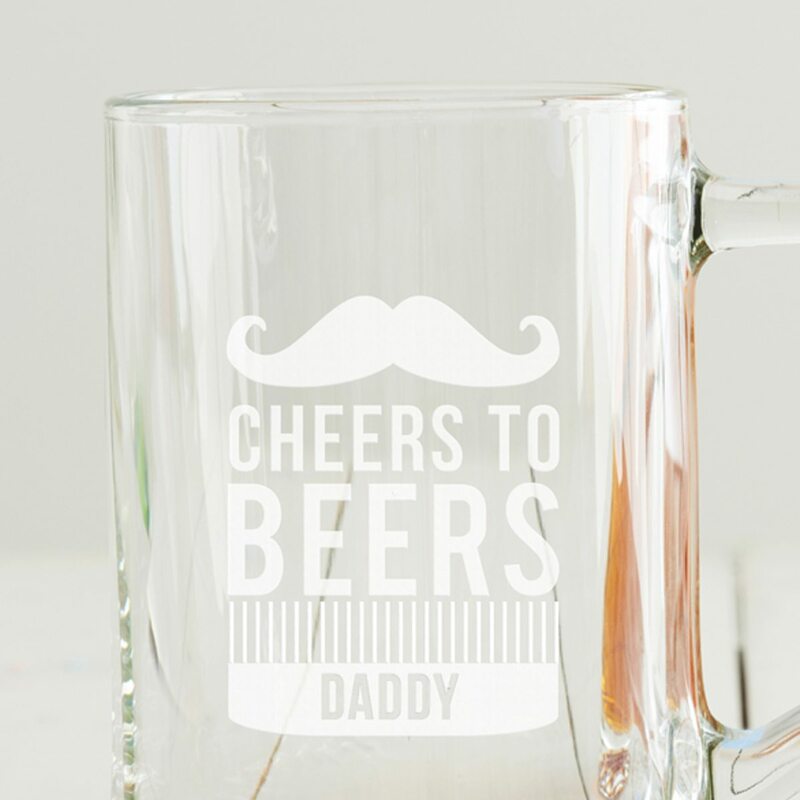 This personalised ‘cheers to beers’ tankard features a moustache and comb design. 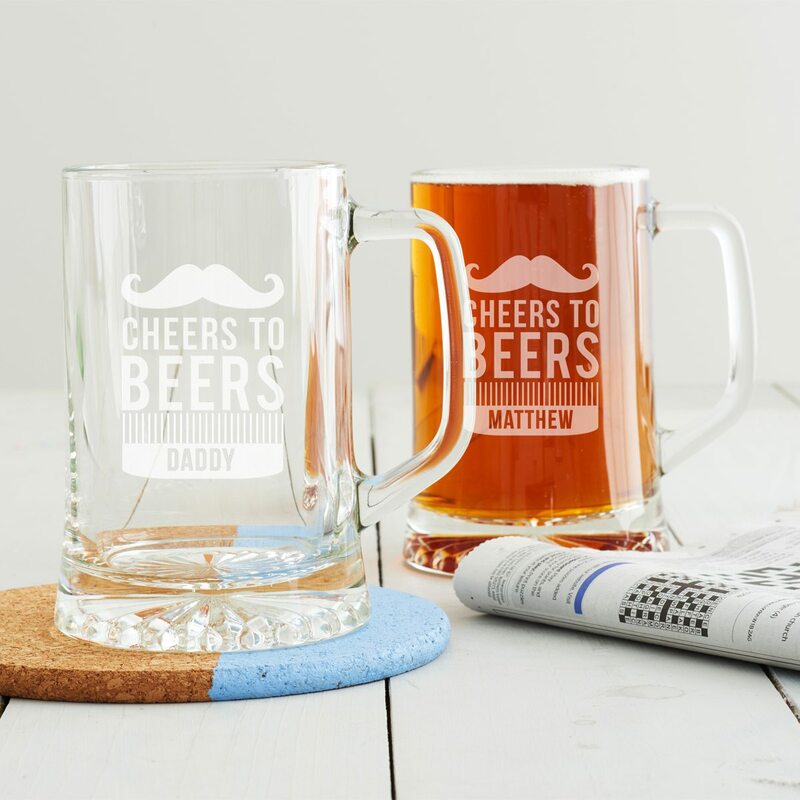 You can personalise the comb with a name, perfect for dads and grandads this Father’s Day or for anyone who likes their beer. Each tankard glass is hand-etched in our studio in Liverpool.